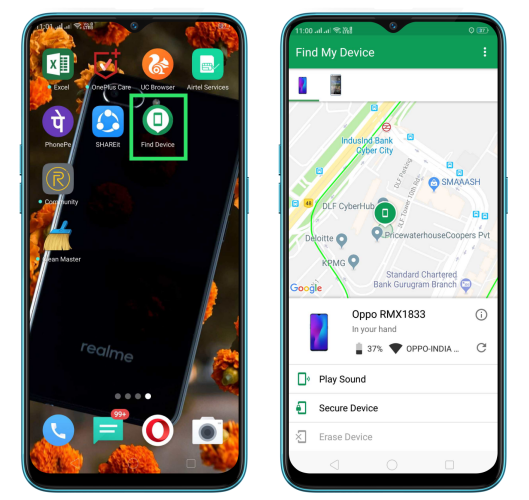 How to use Google Find My Device in realme Smart device? Learn how to use Google Find My Device when you have left, lost and forgotten your phone or was stolen. 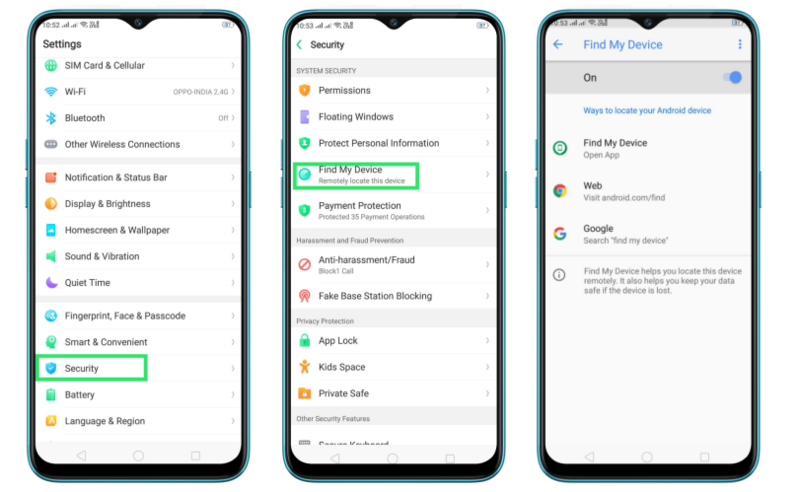 Google Find My Device helps you locate your device remotely. In order for it to work, you need to sign in your Google account and turn on Location Service on your phone. To activate and use Find my Device. Go to [Settings] > [Security] > [Find My Device] and you'll find ways to locate your phone. 1. Remotely locate the device. The phone's current location will be shown on the map. 2. Play sound. Let the phone play a loud tone continuously at full volume for five minutes even if you turned the ringer off. 3. Allow to secure and erase device. If your phone got stolen or if you feel that you've left it somewhere in a public place, use this feature to remotely lock your phone and erase the entire data saved on the phone so that no one can access it.